Whether you’re traveling to a wintery wonderland or jetting off to a tropical locale, a great swimsuit is definitely a travel essential that you don’t want to forget to pack. You just never know when you might need a swimsuit for going in the hot tub, pool, or ocean. It’s just a good idea to bring a swimsuit with you so you’re always prepared for any fun or adventure that might come your way. But finding a swimsuit that combines comfort and style can be really difficult! So much of the time I think I’ve found the most comfortable swimsuit but find that it’s definitely not flattering, or I find a swimsuit that makes me look amazing but is anything but comfortable. Plus, when I’m going on holiday I want to get a great tan to bring home with me and give me a nice glow, but most swimsuits will leave you with annoying tan lines that just won’t budge. That’s why I was so excited when I found out about the company CoolTanⓇ and their TanThrough swimwear that are the perfect combination of style, comfort, and getting you a great tan without any tan lines. What makes CoolTan’s TanThrough swimwear so amazing is that you can tan right through the fabric. This means you will get the most even tan without having to worry about messy lotions and sprays or unsightly tan lines. The ability to tan right through your swimsuit makes getting a tan as easy as relaxing by the pool, walking along the beach, or boating with friends. The secret to CoolTan’s TanThrough swimwear is their uniquely patented and specially formulated Microsol V fabric which is knitted to create millions of tiny pores to filter in approximately half the sun’s rays. This will get you an even, all-over tan about as fast as you would with a medium-level SPF sunscreen. This eliminates the need for sticky and streaky tanning lotions, expensive tanning beds, or pesky tan lines. This porous fabric also filters air and water freely through the suit to keep cool and comfortable, even on the hottest of summer days, and wick moisture to dry up to 3x faster than normal fabric. This is a game-changer because it means you won’t have to wait hours and hours for your swimsuit to dry before being able to wear it again or throw it back in your bag. Because there’s nothing more annoying than a soaking wet swimsuit that threatens to get the rest of your belongings wet and moldy in your suitcase. The lightweight and quick-drying fabric in TanThrough swimwear means you will stay comfortable all day and won’t have to put a soaking wet swimsuit back on if you want to swim or get back in the jacuzzi. In addition to TanThrough swimwear, CoolTan also offers a line of TanThrough shirts which make it easier than ever to get a great tan right through your everyday activities. TanThrough shirts are made using the same Microsol fabric so not only will you get a great tan but you will stay comfortable and dry. The TanThrough shirts let you get a natural tan, without tan lines along the neck and arms, without even having to think about it. You can be playing golf, tennis, or even just running errands and be getting a natural glow without having to worry about getting a Farmer’s Tan. 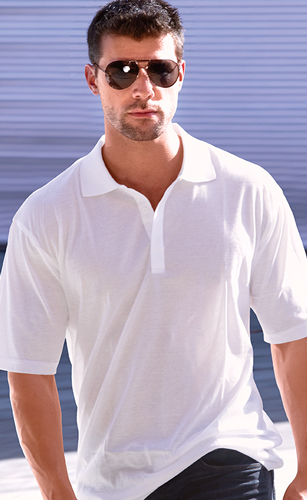 The Microsol fabric in TanThrough shirts also contains SPF 6-10 so you can have a base layer of sun protection while going about your day. Choose between T-Shirts, V-Becks, Polos, or Henleys for all your favorite activities and all-day, everyday wear. With so many swim sizes, styles, and patterns to choose from you’re guaranteed to find the perfect swimsuit for you from CoolTan. Whether you prefer structured suits, monokinis, or one-pieces or halter and string bikinis, women can find swimsuits that make them look and feel amazing and will feel comfortable to wear all day long. Board shorts, swim trunks, jammers, hipsters, and briefs are all available for men so they can choose a style that they’re comfortable in and will be perfect for all their favorite outdoor activities. I absolutely love CoolTan’s TanThrough swimwear and shirts and would highly recommend them based on how comfortable and lightweight they are, while also letting you get an amazing tan effortlessly. Make sure you follow CoolTan on Instagram: @cooltansportwear to keep up to date on new styles and sales!